Grief and grieving. It's traumatic. It's awkward. It's painful. How often do you walk into the session or the patient’s room knowing that your education did not prepare you for this? How often do you miss having the right words, phrases and the right actions to console? As professionals we are expected to have the right words at hand, the right actions to recommend, and the right response. Most of us fail shamefully due to a lack of grief emphasis in our training. Every client we will see will experience loss in their life. 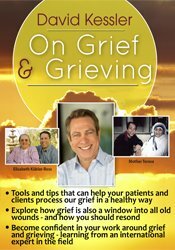 In this recording, David Kessler, international grief expert, author and practitioner, will help you transform your practice, your life, and learn the art of caring for the grieving. You will then know the right words and actions to truly be of help to the dying and grieving. David's personal experience of witnessing a mass shooting as a child and its aftermath helped him begin his journey as a grief healer. Through his work with Elisabeth Kubler-Ross and Mother Teresa, he has helped thousands of people face life and death with peace, dignity and courage. From working with Elizabeth Taylor, Michael Landon, and Anthony Perkins to seeing up-close the devastation and heroic response of so many at 9/11, Ground Zero, and Sandy Hook Elementary School tragedies, David lives the work he teaches. Don't let more time go by feeling unprepared to help your clients process their trauma, their grief and heal. Explore the dynamics of different types of grief and the healing processes associated with each. Specify age appropriate grieving milestones that occur across the lifespan. Articulate the somatic response to grief and identify how to manage residual grief in the body. Consider why children are often the “forgotten grievers” and identify strategies for helping this population. Analyze the efficacy of positive psychology interventions in treating grief. Ascertain the relationship between traumatic events and grief as it relates to the healing process. He is the author of five bestselling books and the popular Healing Grief Card Deck: 55 Practices to Find Peace (PESI, 2016). His first book, The Needs of the Dying, (HarperCollins, 2007), a #1 best-selling hospice book, received praise by Mother Teresa. He co-authored two bestsellers with the legendary Elisabeth Kübler-Ross: On Grief and Grieving (Scribner, 2014) and Life Lessons. (Scribner, 2014). He also co-authored the book, You Can Heal Your Heart: Finding Peace After Breakup, Divorce or Death, (Hay House, 2015), with Louise Hay. He worked with Elizabeth Taylor, Jamie Lee Curtis, and Marianne Williamson when their loved ones faced life-challenging illnesses. He also worked with late actors Anthony Perkins and Michael Landon. 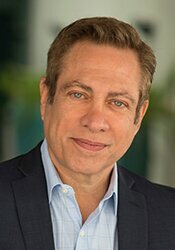 David’s work has been discussed in the Los Angeles Times, Business Week and Life Magazine, and has been featured on CNN-Cross Fire, NBC, Fox, PBS, Dr. Oz and Entertainment Tonight. David is a contributing writer on Oprah.com, Dr. Oz’s Sharecare.com, Anderson Cooper 360 and The Huffington Post. This self-study program is designed to qualify for 6.0 continuing education hours. Certification in Thanatology: This self-study educational offering is recognized by the Association for Death Education and Counseling to meet the thanatology-related educational contact hour requirements to be Certified in Thanatology: Death, Dying and Bereavement. This course will award 6.0 contact hours to participants. Nurses completing these self-study materials will earn 6.0 contact hours. Expires: 2/19/2022. PESI, Inc. designates this self-study activity for a maximum of 6.0 AMA PRA Category 1 Credit(s)™. This activity was originally recorded on 02/19/2019. It was last reviewed on 12/03/2018 and is valid until 12/03/2021. Pennsylvania Psychologists: PESI, Inc. is approved by the Pennsylvania State Board of Psychology to offer continuing education for psychologists. PESI maintains responsibility for the program(s). This self-study program qualifies for 6.0 continuing education hours. Kentucky Psychologists: PESI, Inc. is approved by the Kentucky Board of Examiners of Psychology to offer continuing education for psychologists. PESI maintains responsibility for this program and its content. This self-study activity will qualify for 6.0 contact hours.